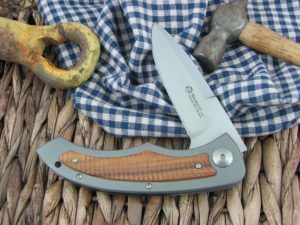 Maserin Cutlery AM1-Tech is right at home with today’s high end class of factory mid-tech knives. 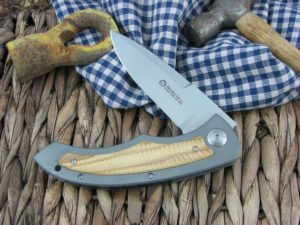 Designed by Attilio Morotti, one of the most talented custom knifemakers in all of Italy, the 382 model is like a production version of one of his customs With a titanium framelock and thrust bearings, this flipper is a smooth operator. 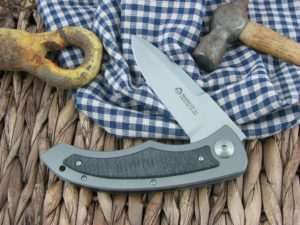 The CPM-S35VN steel holds a great edge and is easy to refresh when the time comes.